When adding a base layer to your work apparel, you need warmth, but you also want to make sure that base layer doesn't lock in moisture against your skin. You won’t have to worry about sweat with these CAT Apparel Men’s 1810005 016 Black Flame-Resistant Long Jo ... (see full details) (see specifications) #CAT1810005-016. When adding a base layer to your work apparel, you need warmth, but you also want to make sure that base layer doesn't lock in moisture against your skin. You won’t have to worry about sweat with these CAT Apparel Men’s 1810005 016 Black Flame-Resistant Long John Pants. Made with 6.2 ounces (210 grams) of 55% FR rayon, 33% wool, and 12% nylon merinoFR jersey, these flame-resistant pants are an added layer of arc protection and are warm, breathable, and moisture-wicking. Now, most people look at long underwear made with wool and immediately think “itchy”- that's not so with this blend of merino and wool. Itchy wool is a thing of the past with this technology that's designed to use wool’s natural warmth and moisture-wicking properties, while eliminating the irritating fibers. It's also anti-odor, so you don’t have to worry about these FR pants smelling sweaty. The comfort of these men’s pants comes not only from the fabric combination, but also from the design. Because you're probably moving around a lot, the flatlock seams reduce chafing and allows for more mobility and stretch. The front fly has a gusset from additional ease of movement, and there's a CAT logo printed on the left hip. Sporting NFPA 70E, HRC/ARC1, and ATPV of 5.2. These long John pants meet most flame-resistant workplace requirements for added safety on the job. Order these CAT Apparel Men's 1810005 016 Flame-Resistant Long John Black Pants today! Pair the base layer pants with the CAT Apparel Men’s 1510101 016 Black Flame-Resistant Base Layer Long-Sleeve Shirt for all over FR warmth. You can find both right here at Working Person's Store! 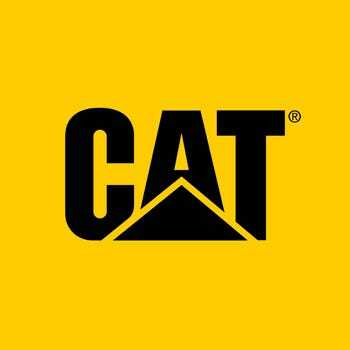 CAT Apparel Pants: Men's 1810005 016 Black Flame-Resistant Long John Pants is being added to your cart.